Another remarkable adaptation found in nature begins with a simple Swiss apple first cultivated hundreds of years ago. Remaining fresh far longer than other varieties, the Uttwiler Spätlauber was prized for its longevity. The key to resistance to decay is the naturally occurring botanicals found in the skin of the fruit. When creating the Fleuresse Skin Care products and the Kyäni food supplements, not only did Kyäni draw inspiration from nature for its products, but the powerful ingredients mentioned above became emblematic of Kyäni’s culture and tenacity. Kyäni’s founding families began with small businesses that, like an apple or blueberry, might have been easy to overlook. But with hard work and innovation, the Hansens and Taylors achieved enormous business success in a multitude of industries. 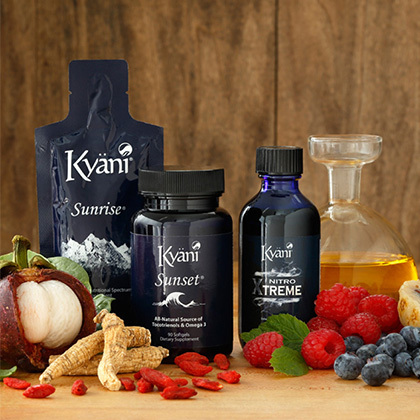 After learning how these natural sources of wellness can positively impact well-being, the families joined together to form Kyäni. Today, Kyäni’s powerful products make a difference in the lives of millions of people throughout the world. You can visit Kyäni’s corporate site instead. You can report this error to cs.sc@kyanicorp.com.